Aswell as cars, you know I love food, hence the 'reviews' lately of some restaurants I have been visiting! It's been a while since I had a 'real' burger, so after being recommended this place I thought sure, lets check it out! 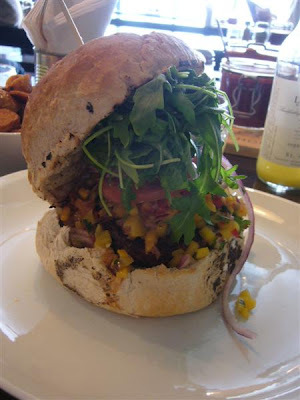 Jo Burger, in Rathmines, Dublin was hit up last week for some lunch. WOW, I never expected anything like this. Cool place, atmosphere rocked, cool music, inside was decorated with graffiti walls and art, even the menu comes served inside a funky 1970's Comic Book. Really unique place with great service! The burger menu is awsome, with so much to choose from, then the portion is HUGE, impossible to eat like regular burgers...I hear its also open late, so maybe I will check it out at night sometime too. I definetly recommend it, if in town, hit up Jo Burger! You'll love it!